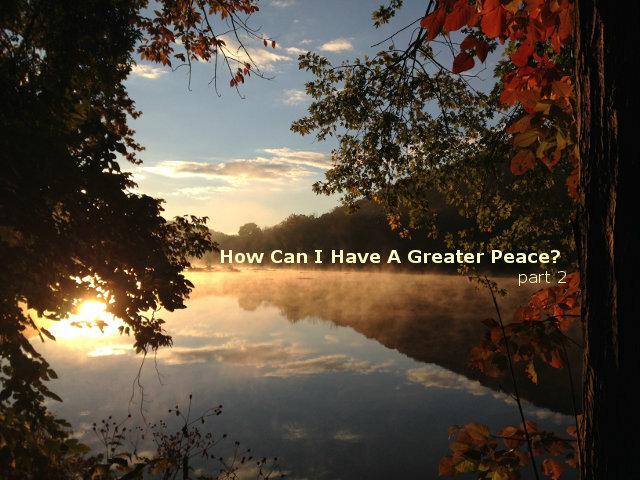 You can read part 1 here: “How Can I Have A Greater Peace? part 1”. I’m sure that most of you have heard that expression, haven’t you? Or perhaps you’ve been told “You’re just like your daddy”, or “You remind me so much of your momma.” We really can’t help it, can we? When we’ve grown up in the environment of our parents we just become like them, not to mention DNA. John 8: 19 “Where is your father?” they asked. Colossians 1: 15a Christ is the visible image of the invisible God. Do you see the similarity? We were made in our Daddy’s image, that’s how human beings were designed. I can recall a DVD player I once had. Its purpose was simply to play the DVDs, without problems. That is what it was supposed to do. It didn’t. It failed to play my DVDs and for that reason, I got rid of it. Of course, I gave it a few chances to work, it was not my desire to throw it way, but if it would not work for me, I considered it useless, so into the trash it went. Matthew 21: 18 In the morning, as Jesus was returning to Jerusalem, he was hungry, 19 and he noticed a fig tree beside the road. He went over to see if there were any figs, but there were only leaves. Then he said to it, “May you never bear fruit again!” And immediately the fig tree withered up. Of course, the fig tree was designed to bear fruit, and when Jesus discovered that it was not, He quickly discarded it. He determined that it was useless and acted accordingly. Isn’t it interesting that we are a lot like God without even trying to be? When something doesn’t work, we pitch it out. We like to create, He likes to create. We like to see progress, He likes to see progress. He worked 6 days, I work 6 days. He likes to see people getting along, we like to see people getting along. This is the intrinsic nature of God that I think we all have, but when it comes to fruits of the spirit, they are developed only through our relationship with Him. I am so glad that God has more patience with us than He did that fig tree, aren’t you? Isaiah 9: 6 For a child is born to us, a son is given to us. The government will rest on his shoulders. And he will be called: Wonderful Counselor, Mighty God, Everlasting Father, Prince of Peace. Just as Jesus is the Prince of Peace, we were designed to be People of Peace. After all, the human body works best when filled with peace. If my life cannot be described as one of peace, that only means one thing: I have not been spending enough time with Daddy. It is that simple. We discussed this at the very beginning, a child becomes like their parents after spending years of intimate time with them. The greater the love a father has for his child, the more that child has peace. 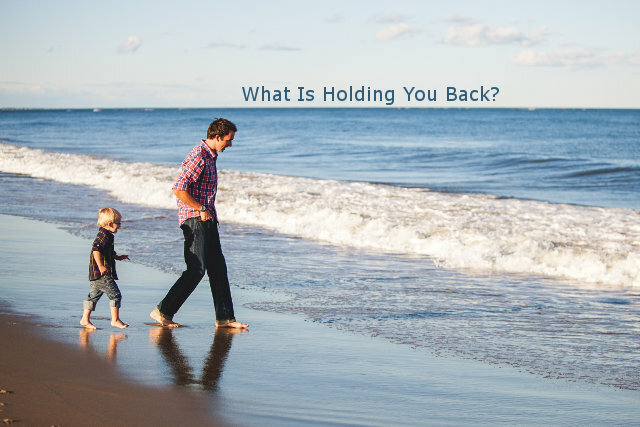 The child of a loving father feels secure. God wants His children to feel secure so that they do not have to be pre-occupied with worrisome thoughts which hinder their ability to think and act as they should. This is where the greater faith we develop over time, the more at peace we will be. Psalm 103: 13 The LORD is like a father to his children, tender and compassionate to those who fear him. Just like the bumper sticker says “No Jesus, No Peace. Know Jesus, Know Peace.” This is not on an intellectual level and has little to do with Bible knowledge. I’ve read about many persecuted Christians in various parts of the world who had very little Biblical knowledge but they certainly knew their Lord very well and that was by relying on Him through prayer. Are you your Daddy’s child? In light of this great response, I thought I would focus on how we can experience a greater peace and offer some practical ideas on discipleship. Do you see where I am going with this? Do you see why it just might disturb our Lord a bit when He tells us time and time again in His Word not to be afraid and we’re out there in amongst the mass population not any different than the atheist next door? I think we might agree that there is a worry-peace continuum with worry and fear being on one end of it and peace and joy on the other end. Since last week we focused on “not worrying”, I thought we’d approach it in a more positive way by focusing on having peace, one of the fruits of the spirit. When it gets right down to our personal ministry, if we are overly preoccupied with our own circumstances, to what degree will that hinder us when it comes to serving others with love and attention? We owe it to our loved ones and the people we serve to find His perfect peace and walk in that path. This is not easy and requires great care and patience, but it’s worth it. Galatians 5: 22 But the Holy Spirit produces this kind of fruit in our lives: love, joy, peace, patience, kindness, goodness, faithfulness, 23 gentleness, and self-control. Psalm 29: 11 The LORD gives his people strength. Matthew 11: 28 Then Jesus said, “Come to me, all of you who are weary and carry heavy burdens, and I will give you rest. John 14: 26 But when the Father sends the Advocate as my representative—that is, the Holy Spirit—he will teach you everything and will remind you of everything I have told you. 27 I am leaving you with a gift—peace of mind and heart. And the peace I give is a gift the world cannot give. So don’t be troubled or afraid. How does that work? Does He just give peace to all and that’s it? Do all believers receive it regardless? I don’t believe so, re-read Galatians 5: 22 above. It is fruit. How does any living thing yield fruit? By staying in fertile soil and getting fed. Luke 8: 13 The seeds on the rocky soil represent those who hear the message and receive it with joy. But since they don’t have deep roots, they believe for a while, then they fall away when they face temptation. Unfortunately, this used to describe me perfectly and I am afraid many believers are caught up in this today. Can you relate? “What time is the game on? Oh, what did the pastor just say? I wonder where we will eat after church. I gotta get me some baby back ribs! Hold on, this pastor is way too fast for me, did he just use a Star Wars reference in church? I wonder when that new movie comes out…” I’m sure this does not happen to you, does it? Personally, I prefer to read the Word of God rather than listen to it. My mind wanders way too easily, as I’ve illustrated above, and I miss things when I hear it. But when I read with the intent to understand, I take the time I need to devour the His Word as if it were a tender, juicy, medium rare Rib-eye steak, taking delight with every bite. I have friends who prefer to listen or even both. I know God’s made us all different and I think whatever it takes to get His Book into your body(heart, mind, and soul), do it! And at all costs. John 15: 7 But if you remain in me and my words remain in you, you may ask for anything you want, and it will be granted! 8 When you produce much fruit, you are my true disciples. This brings great glory to my Father. These two verses clearly spell it out for you: Keeping a soft heart and receiving and meditating on scripture is required to produce fruit. The list I put together in my last post as a lesson from Job is a good list for growth, by the way. If you’ve been frustrated that you have no peace or joy and always felt that being a believer in Jesus should be a life of peace, perhaps now you know why. We read our Bibles daily to grow in spiritual maturity and get to know God more, not just to say we do it or just a habit. These are cunning tricks that Satan loves to employ to keep the child of God at arm’s length of their Heavenly Daddy. If the desire is not there, I understand (been there). But pray that God will soften your heart and read it anyway. If you continue to pray for God to work on your heart and read out of obligation in spite of your attitude, keep reading and the joy of His Words will come to you and the more you read the more you will enjoy it and the more you will get out of it. Then keep reading. If you do not understand it, I get it (been there). Pray that God gives you understanding. In the meantime find a friend/elder/woman of faith that does understand and ask for assistance. But read anyway. I have a close friend that knew nothing of the Bible (was an unbeliever, but a seeker), started reading Genesis and read straight through the Old Testament which prepared his heart for the Good News of Jesus Christ. He did not understand much of what he read but he understood enough, talked with various people about it and kept reading. What excuse do you have? All believers should continue to be seekers. DO NOT LET ANYTHING, ANYONE, ANY SIN OR ANY REASON stop you from getting to know the loving and living God, the One who created you. This message has eternal implications and cannot be stressed enough. After all, what else is there in life worth excelling at, much less compares in importance? The Kingdom of God is not like High School. Matthew 13: 44 “The Kingdom of Heaven is like a treasure that a man discovered hidden in a field. In his excitement, he hid it again and sold everything he owned to get enough money to buy the field. With God we can’t afford to squeak by in class, going through the motions hoping He’ll give us a passing grade on judgment day. He’ll either know us, or He won’t. Do we really want to casually hope for the best? 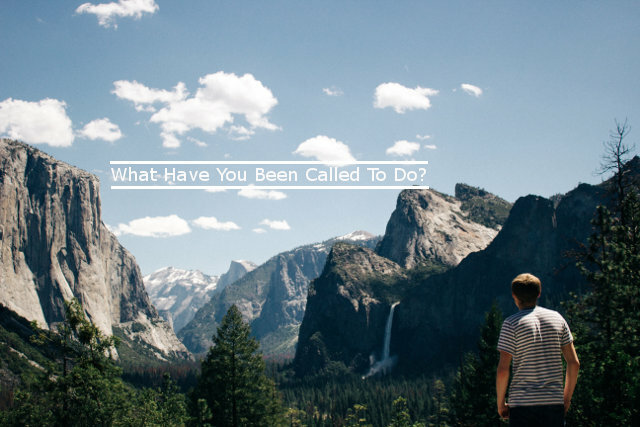 The time you spend serving in ministry is meaningless if you’re not spending the time to know Him. Where does my passion to serve come from? The heart and mind of God, or from my filthy self-righteousness? This is the difference between participating in ministry because it was just a good idea and God calling you to ministry because you heard His voice and were obedient. If we stay in good soil, as explained above and develop the disciplines of being in His presence daily with prayer, reading, and regular fellowship, we will continue to grow. We will experience His peace, joy, and eventually all the fruits I believe. Trees don’t think about producing fruit when they keep growing, good fruit happens. Same with us, when we stay in good soil and diligently pursue Him, He will produce good fruit in us and it will just happen, right before our eyes. I’ll leave you with a couple more verses on peace and that’ll wrap it up. Thank you for reading, I pray that you take this message to heart and seek Him with all you’ve got! Psalm 46: 10a Be still, and know that I am God! Psalm 34: 14 Turn away from evil and do good. Search for peace, and work to maintain it. Will you join me in seeking His peace? 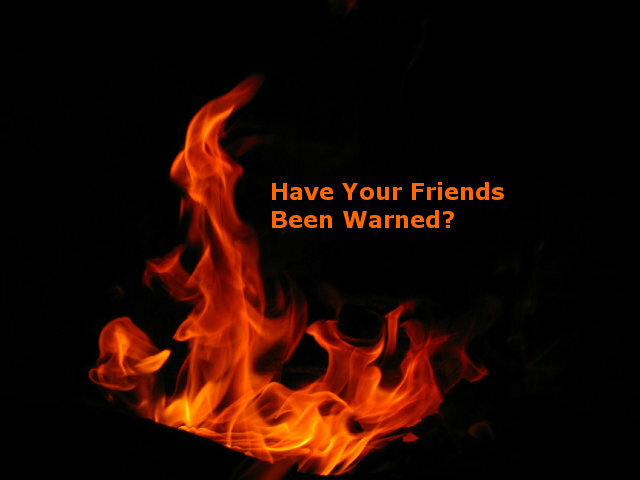 Have Your Friends Been Warned? Are you familiar with the phrase, “You’ve gotta take the bad with the good.”? 1 John 5: 12 Whoever has the Son has life; whoever does not have God’s Son does not have life. John 3: 18 “There is no judgment against anyone who believes in him. But anyone who does not believe in him has already been judged for not believing in God’s one and only Son. 2 Chronicles 15: 2b The LORD will stay with you as long as you stay with him! Whenever you seek him, you will find him. But if you abandon him, he will abandon you. 1 Chronicles 28: 9b If you seek him, you will find him. But if you forsake him, he will reject you forever. It’s no wonder the Bible has lost its popularity. In a day and age where the stories are sugar coated and most people are over-entertained, it doesn’t take long when reading the Word of God before it pierces your heart. Romans 11: 22 Notice how God is both kind and severe. He is severe toward those who disobeyed, but kind to you if you continue to trust in his kindness. But if you stop trusting, you also will be cut off. 2 Corinthians 2: 15 Our lives are a Christ-like fragrance rising up to God. But this fragrance is perceived differently by those who are being saved and by those who are perishing. 16 To those who are perishing, we are a dreadful smell of death and doom. But to those who are being saved, we are a life-giving perfume. 2 Corinthians 5: 20b We speak for Christ when we plead, “Come back to God!” 21 For God made Christ, who never sinned, to be the offering for our sin, so that we could be made right with God through Christ. There is also a time to warn others. 2 Peter 3: 8 But you must not forget this one thing, dear friends: A day is like a thousand years to the Lord, and a thousand years is like a day. 9 The Lord isn’t really being slow about his promise, as some people think. No, he is being patient for your sake. He does not want anyone to be destroyed, but wants everyone to repent. 10 But the day of the Lord will come as unexpectedly as a thief. Then the heavens will pass away with a terrible noise, and the very elements themselves will disappear in fire, and the earth and everything on it will be found to deserve judgment. Luke 17: 26 “When the Son of Man returns, it will be like it was in Noah’s day. 27 In those days, the people enjoyed banquets and parties and weddings right up to the time Noah entered his boat and the flood came and destroyed them all. 28 “And the world will be as it was in the days of Lot. People went about their daily business—eating and drinking, buying and selling, farming and building—29 until the morning Lot left Sodom. Then fire and burning sulfur rained down from heaven and destroyed them all. 30 Yes, it will be ‘business as usual’ right up to the day when the Son of Man is revealed. Don’t you think it’s time to tell the truth? Does the title sound familiar? Of course, at least for some of you, I hope. In case you don’t, perhaps there are people reading this that are too young or from another culture that never heard it before. I looked it up on Wikipedia and it seems to be of French origin. Is it silly? Maybe, but cute. 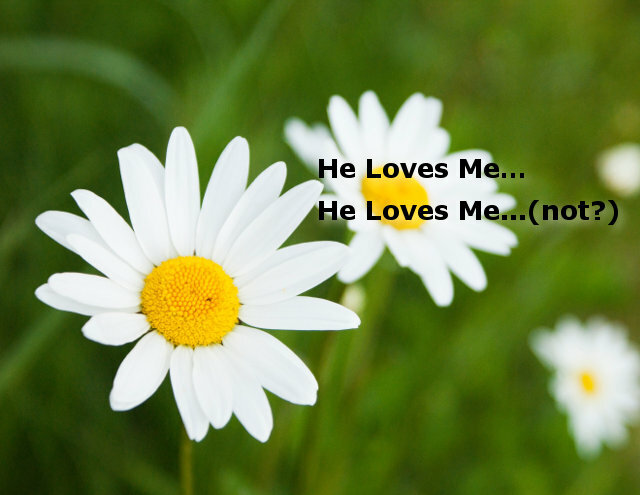 Isn’t it nice to know that God always loves us and regardless of any “daisy game”, He still loves us? But do we believe this? Day in and day out? Is this just intellectual knowledge of God’s Word or is it something that we know to be true in our hearts? I think the greater understanding of His love for us is directly related to the less stress we have. If you said yes to any one of these that just means your normal. Everyone has fears and worries to various degrees. Although I believe this about people I’m convinced that that is not God’s plan for us. Philippians 4: 6 Don’t worry about anything; instead, pray about everything. Tell God what you need, and thank him for all he has done. Matthew 6: 34 “So don’t worry about tomorrow, for tomorrow will bring its own worries. Today’s trouble is enough for today. He tells us not to worry about anything! Are you kidding me? 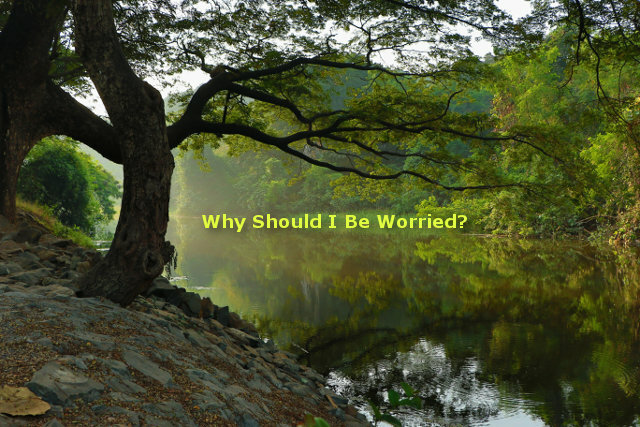 At the heart of this, I believe that worry is simply a word to mean “lack of faith”. Matthew 8: 26 Jesus responded, “Why are you afraid? You have so little faith!” Then he got up and rebuked the wind and waves, and suddenly there was a great calm. I’ve learned that as I grow spiritually, I worry less and less, and although I still struggle with it, this knowledge gives me hope. Meditating on both Philippians 4:6 and Mattew 6:34 as seen above, has been really good for me. God is telling me not to worry. Eventually, I finally started to say to God “OK Lord, if you say so.” and I am amazed at how effective it was to meditate on these verses. Some days I’ll tremble with fear and others I seem to be at peace. It is the days of fear that I’ve really learned to cling to Him and go to Him constantly. It is also in these days of unrest that I find myself doubting what I know to be true. Is God really going to rescue me? Does He really love me? What I find fascinating is that after a day of gloom I can pray to my God and the next day, with the same circumstances, He gives me a renewed sense of hope and peace. It’s as if to say “He really does love me!”. I think perfect love should always be our goal; this would enable us to overcome fear. This makes sense since the greatest commandments are to love God with all our heart, mind, soul and strength and neighbors as ourselves. Deuteronomy 10: 13 And you must always obey the Lord’s commands and decrees that I am giving you today for your own good. In the effort to love God and learning how to love Him; this is where true transformation really happens. The more we understand God and the love He has for us the less fear we’ll have. The closer God comes to you, the more you will realize just how much He loves you and your fears will start to fade away. How do I grow spiritually and learn to love Him more? I read my Bible daily and follow a reading plan because I need one. I read godly books. Personal biographies are great and those focused on spiritual growth. Sermons at church and on the radio are great, but nothing beats “individual God time” and scriptural fellowship. Keep in mind that this is where I am now. When I first started to seriously seek God I read the Bible, prayed a little bit and met once a week with others. Since then my desire for fellowship grew and I find great enjoyment from these weekly meetings with the godly. The more I sought God, the more time I wanted to be with Him and His followers. Will you join me on this journey to love Him more?